Final Result and Marks obtained by the candidates in the recruitment examination to the post of Junior Proof Reader in Lok Sabha Secretariat in response to Advertisement No.3/2017. Result and Marks obtained by candidates in the personal Interview for ex-cadre post of Welfare Officer on Direct Recruitment Basis in Lok Sabha Secretariat - Advt No.1/2018. Final Result and Marks of Examination for recruitment to the posts of Executive/Legislative/Committee/Protocol Officer and Research/ Reference Officer in Lok Sabha Secretariat in response to Advertis ement No.6/2017. Marks obtained by candidates in Main Examination for posts of Executive/Legislative/Committee/Protocol Officer and Research/Reference Officer in Lok Sabha Secretariat held from 25.05.2018 to 31.05.2018 - Advertisement No.6/2017. RESULT OF DEPARTMENTAL STENOGRAPHY TEST FOR PARLIAMENTARY REPORTERS GD.II APPOINTED ON CONDITIONAL BASIS IN LSS-CIRCULAR NO. 31357 DATED 18.09.2018. Result of Departmental Simultaneous Interpretation Test for the incumbents to the post of Parliamentary Interpreter Grade-II in Lok Sabha Secretariat - Circular No.31357 dated 18.09.2018. Final Result of examination for engagement/hiring of ''Library Professionals'' on Contract Basis as Consultants in Lok Sabha Secretariat - Addvt. No.4/2017. Result of Main Examination for recruitment to the posts of Executive/Legislative/Committee/Protocol Officer and Research/Reference Officer in Lok Sabha Secretariat in response to Advertisement No.6/2017. Marks obtained by the candidates for engagement/hiring of ''Library Professionals'' on Contract Basis as Consultants in Lok Sabha Secretariat - Advt. No.4/2017. Result of examination for engagement/hiring of ''Library Professionals'' on Contract Basis as Consultants in Lok Sabha Secretariat - Advt. No.4/2017. Final Result of examination for recruitment to the post of Junior Clerk (since revised as ''Secretariat Assistant'') in Lok Sabha Secretariat in response to Advt. No.7/2017. Result of Preliminary Examination for recruitment to the posts of Executive/Legislative/Committee/Protocol Officer and Research/Reference Officer in Lok Sabha Secretariat - Advt. No. 6/2017. Marks obtained by candidates in the Preliminary Examination for the posts of Executive/Legislative/Committee/Protocol Officer and Research/Reference Officer in Lok Sabha Secretariat - Advt. No.6/2017. Marks obtained by candidates in Final Stage Screening for posts of Housekeeper Grade-III and Farrash in Lok Sabha Secretariat. Marks obtained by candidates in the Main Examination for the post of Junior Clerk in Lok Sabha Secretariat - Advt. No.7/2017. Marks obtained by candidates in main exam for the post of Executive/Legislative/Committee/Protocol Assistant in Lok Sabha Secretariat held on 08.04.2018-ADVT. NO.4/2016. Final Result of Examination for recruitment to the post of Executive/Legislative/Committee/Protocol Assistant in Lok Sabha Secretariat- Advt. No.4/2016 held on 08.04.2018. DEPARTMENTAL STENOGRAPHY TEST FOR PARLIAMENTARY REPORTERS GD.II APPOINTED ON CONDITIONAL BASIS IN LSS-CIRCULAR NO. 31230 DATED 07.06.2018 HELD ON 30.06.2018. Result of Departmental typing test on Computer for directly recruited Executive/Legislative/Committee/Protocol Assistants in Lok Sabha Secretariat held on 30.06.2018 for grant of second and subsequent annual increments- Circular No. 31230 dated 07.06.2018. Result of First Departmental Simultaneous Interpretation Test for the incumbents to the post of Parliamentary Interpreter Grade-II in Lok Sabha Secretariat - Circular No.31047 dated 18.01.2018. MARKS SECURED BY CANDIDATES IN EXAMINATION FOR THE POST OF TRANSLATOR IN LOK SABHA SECRETARIAT HELD ON 24.09.2017. Addendum to result of Preliminary Examination for recruitment to the post of Junior Clerk in Lok Sabha Secretariat - Advt. No. 7/2017. MARKS OBTAINED BY CANDIDATES IN THE PRELIMINARY EXAMINATION FOR THE POST OF JUNIOR CLERK IN LOK SABHA SECTT. HELD ON 08.10.2017 - ADVT. NO. 7/2017. DEPARTMENTAL STENOGRAPHY TEST AND WRITTEN TEST FOR PARLIAMENTARY REPORTERS GD.II APPOINTED ON CONDITIONAL BASIS IN LSS-CIRCULAR NO. 30962 DATED 27.11.2017. Departmental Written Test held on 16.09.2017 for Parliamentary Reporter Gd.-II appointed on conditional basis in LSS. FINAL RESULT AND MARKS OBTAINED BY CANDIDATES IN THE EXAMINATION FOR RECRUITMENT TO THE POST OF PARLIAMENTARY REPORTER GRADE-II (ENGLISH/HINDI) IN LOK SABHA SECTT. - ADVT. NO. 1/2017. Addendum to result of First Stage Screening of candidates for filling up of vacancies for the posts of Housekeeper Grade-III and Farrash in Lok Sabha Secretariat notified vide Advertisement No. 5/2017. DEPARTMENTAL STENOGRAPHY TEST FOR PARLIAMENTARY REPORTERS GD.II APPOINTED ON CONDITIONAL BASIS IN LSS-CIRCULAR NO. 30728 DATED 25.05.2017. MARKS OBTAINED BY CANDIDATES IN FIRST STAGE SCREENING TEST FOR SHORT TERM NEED BASED ENGAGEMENT OF CASUAL LABOUR IN LOK SABHA SECRETARIAT (ADVT. NO. 3/2016) HELD FROM 15th TO 21st FEBRUARY, 2017. RESULT OF PERSONAL INTERVIEW FOR RECRUITMENT OF EX-SERVICEMEN TO THE POST OF SECURITY ASSISTANT GRADE-II (TECHNICAL)IN LOK SABHA SECRETARIAT (ADVT. NO. 2/2016) HELD FROM 7th TO 20th DECEMBER, 2016. MARKS OBTAINED BY CANDIDATES IN PERSONAL INTERVIEW FOR RECRUITMENT OF EX-SERVICEMEN TO THE POST OF SECURITY ASSISTANT GRADE-II (TECHNICAL)IN LOK SABHA SECRETARIAT (ADVT. NO. 2/2016) HELD FROM 7th TO 20th DECEMBER, 2016. Result of Departmental Examination held on 15.10.2016 for Junior Clerks appointed on compassionate grounds - Circular No. 30308 dated 05.09.2016. Result of Departmental typewriting test on Computer for directly recruited Executive/Legislative/Committee/Protocol Assistants in Lok Sabha Secretariat held on 15.10.2016. Recruitment of ex-Servicemen to the post of Security Assistant Gd.II in Lok Sabha Secretariat(Advt. No. 1/2015)-Result and Marks held on 16.07.2016 and 17.07.2016. Result of Second Departmental Simultaneous Interpretation Test for the incumbents to the post of Parliamentary Interpreter Grade-II in LSS - Circular No. 30287 dated 19.08.2016. Final result of Competitive Departmental Examination against Direct Recruitment Quota for filling up of vacancies for the post of Parliamentary Reporter Grade-II in LSS (Circular No. 30192 dated 12.05.2016). Competitive Departmental Examination against Direct Recruitment Quota for filling up of vacancies for the post of Parliamentary Reporter Grade-II in LSS (Circular No. 30192 dated 12.05.2016)- Result of the Stenography Tests held on 18.06.2016. Result of Departmental typewriting test on Computer for directly recruited Executive/Legislative/Committee/Protocol Assistants in Lok Sabha Secretariat held on 31.05.2016. RESULT AND MARKS SECURED BY THE CANDIDATES IN THE MAIN EXAMINATION FOR THE POST OF HINDI ASSISTANT IN LOK SABHA SECRETARIAT HELD ON 20.12.2015 - ADVT.NO.4/2015. MARKS SECURED BY THE CANDIDATES IN THE PRELIMINARY EXAMINATION FOR THE POST OF HINDI ASSISTANT IN LOK SABHA SECRETARIAT HELD ON 20.12.2015 - ADVT.NO.4/2015. Results and Marks of Personal Interview for filling up of the position of Chief Producer (Controller of Programmes) in LSTV as Consultant - Advt Nos. 5/2015 and 5/2015(2) held on 05.04.2016. Final result and marks of the examination for the post of Parliamentary Interpreter Grade-II (English/Hindi) Lok Sabha Secretariat - Advt. No. 3/2015. RESULT AND MARKS OF THE ORATION TEST FOR THE POST OF PARLIAMENTARY INTERPRETER GRADE-II IN LOK SABHA SECRETARIAT-ADVT.NO.3/2015. 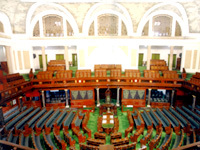 Result of First Departmental Simultaneous Interpretation Test for the incumbents to the post of Parliamentary Interpreter Grade-II in Lok Sabha Secretariat-Circular No.30134 dated 18.02.2016. RESULT AND MARKS OF THE EXAMINATION FOR THE POST OF PARLIAMENTARY INTERPRETER GRADE-II IN LOK SABHA SECRETARIAT IN BODO AND GUJARATI STREAMS-ADVT.NO.3/2015. Departmental typing test on computer for directly recruited Executive/Legislative/Committee/Protocol Assistants in LSS for grant of second and subsequent annual increments held on 13.09.2013. MARKS OBTAINED BY CANDIDATES IN THE PRELIMINARY EXAMINATION FOR THE POST OF PARLIAMENTARY REPORTER GR. 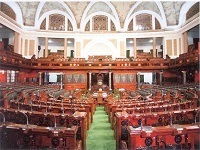 II IN LOK SABHA SECTT. HELD ON 09.06.2013. RESULT OF PRELIMINARY EXAMINATION FOR RECRUITMENT TO THE POST OF BINDER GRADE-II IN LOK SABHA SECTT HELD ON 07.09.2013- ADVT. NO. 7/2012. MARKS OBTAINED BY CANDIDATES IN THE PRELIMINARY EXAMINATION FOR THE POST OF BINDER GR. 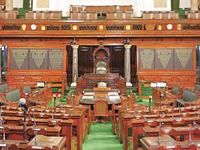 II IN LOK SABHA SECTT. HELD ON 07.09.2013. MARKS OBTAINED BY THE CANDIDATES IN MAIN EXAMINATION AND STENOGRAPHY TEST FOR THE POST OF STENOGRAPHER (ENGLISH/HINDI) IN LOK SABHA SECTT. - ADVT. NO. 5/2014. Departmental typing test on computer for Junior clerks appointed on Compassionate /conditional basis in Lok Sabha Secretariat held on 26.08.2015 - Circular No.29033 dated 15.07.2015. Departmental typing test on computer for directly recruited Executive/Legislative/Committee/Protocol Assistants in LSS for grant of second and subsequent annual increments held on 26.08.2015. Final result of Examination for recruitment to the post of Staff Car Driver (Ordinary Grade) in Lok Sabha Secretariat - Advt. No.5/2014. Result of Physical Measurement Tests, Field Tests and marks secured by candidates in Descriptive Type Written Papers for the post of Security Assistant Grade-II (Technical) in Lok Sabha Secretariat in response to Advertisement No.1/2013. Result of Departmental typewriting test on Computer for directly recruited Legislative/Executive/Committee/Protocol Assistants in Lok Sabha Secretariat held on 13.02.2015 for grant of second and subsequent annual increments - Circular No.28866 dated 19.01.2015. Result of Departmental typewriting test on Computer for Junior Clerks appointed on Compassionate/Conditional basis in Lok Sabha Secretariat held on 13.02.2015 - Circular No.28866 dataed 19.01.2015. Result and marks obtained by candidates of Preliminary Examination for recruitment to the post of Printer in Lok Sabha Secretariat held on 14.12.2014 - Advertisement No.2/2014. Result and Marks for filling up of the posts of: (i) Senior Technical Manager; and (ii) Executive Director (Programmes) in LSTV. Result of Competitive Departmental Examination for the post of Staff Car Driver (Ordinary Grade) in LSS held on 26.10.2014. ADDENDUM TO RESULT OF PRELIMINARY EXAMINATION FOR RECRUITMENT TO THE POST OF SECURITY ASSISTANT GRADE II (TECH.) 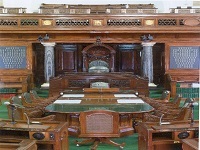 IN LOK SABHA SECTT. HELD ON 29.09.2013- ADVT. NO. 1/2013. Result and Marks of Competitive Departmental examination for filling up vacancies for the post Senior Clerk held on 01st March, 2014. Final Result and Marks of Examination for recruitment to the post of Parliamentary Reporter Grade-II (English/Hindi) in LSS - Advertisement No.7/2012. MARKS OBTAINED BY CANDIDATES IN THE PRELIMINARY EXAMINATION FOR RECRUITMENT TO THE POST OF EXECUTIVE/LEGISLATIVE/COMMITTEE/PROTOCOL ASSISTANT IN LOK SABHA SECTT. HELD ON 27.10.2013- ADVT. NO. 1/2013. RESULT OF THE PRELIMINARY EXAMINATION FOR RECRUITMENT TO THE POST OF EXECUTIVE/LEGISLATIVE/COMMITTEE/PROTOCOL ASSISTANT IN LOK SABHA SECTT. HELD ON 27.10.2013- ADVT. NO. 1/2013. Departmental stendography test for Parliamentary Reporters Gd.-II appointed on conditional basis in Lok Sabha Secretariat. RESULT OF PRELIMINARY EXAMINATION FOR RECRUITMENT TO THE POST OF SECURITY ASSISTANT GRADE II (TECH.) IN LOK SABHA SECTT. HELD ON 29.09.2013- ADVT. NO. 1/2013. MARKS OBTAINED BY CANDIDATES IN THE PRELIMINARY EXAMINATION FOR THE POST OF SECURITY ASSISTANT GRADE II (TECH.) IN LOK SABHA SECTT. HELD ON 29.09.2013. Result of the Competitive Departmental Examination for the Post of Junior Clerk in the LSS held on 8th and 9th March, 2014- circulars No. 28207 dt. 08.01.2014 and 28241 dated 04.02.2014. 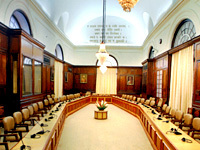 Result of the Departmental Examination for the post of Junior Clerk and Departmental Written and/or Typewriting tests on computer for Junior Clerks appointed on: (i) compassionate grounds, and (ii) the basis of Competitive Departmental Examinations against Direct Recruitment Quota in Lok Sabha Secretariat. MARKS OBTAINED BY CANDIDATES IN THE PRELIMINARY EXAMINATION FOR THE POST OF JUNIOR CLERK IN LOK SABHA SECTT. HELD ON 29.09.2013. RESULT OF PRELIMINARY EXAMINATION FOR RECRUITMENT TO THE POST OF JUNIOR CLERK IN LOK SABHA SECTT HELD ON 29.09.2013- ADVT. NO. 1/2013. Result of Competetive Departmental examination for the post Jr. Clerk held on 08th March, 2014. RESULT OF PHYSICAL MEASUREMENT TESTS, FIELD TESTS AND DESCRIPTIVE TYPE WRITTEN PAPERS FOR RECRUITMENT TO THE POST OF SECURITY ASSISTANT GRADE-II IN LOK SABHA SECRETARIAT HELD ON 6 AND 8 APRIL 2013. Result of first stage screening of candidates for empanelment as casual labourer in Lok Sabha Secretariat-Advt. No 3/2012. Result of Competitive Departmental Examination for the post of Staff Car Driver(Ordinary Grade) in Lok Sabha Secretariat. RESULT OF SECOND DEPARTMENTAL SIMULTANEOUS INTERPRETATION TEST FOR THE INCUMBENTS TO THE POST OF PARLIAMENTARY INTERPRETER GRADE-II IN LOK SABHA SECRETARIAT. Result of exmination held on 23rd June, 2012 for recruitment to the post of Junior Proof Reader. Result of Departmental typewriting test on computer for Directly recruited Executive/Legislative/Committee/Protocol Assistants in Lok Sabha Secretariat held on 16.02.2013. 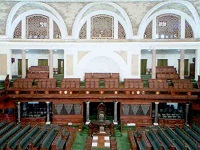 Result of the Second Departmental Simultaneous Interpretation Test for incumbent to the post of Parliamentary Interpreter Grade-II (Kannada Stream) in Lok Sabha Secretariat. Result of the Competitive Departmental Examination for the post of Junior Clerk in Lok Sabha Secretariat held on 17.11.2012. Result of 1st stage screening of candidates for empanelment as Casual Labour in Lok Sabha Secretariat held from 25.10.2012 to 08.11.2012. Result of Departmental typing test on computer for Junior Clerks appointed on Compassionate/Conditional basis held on 17.02.2013. Final Result of examination for recruitment to the post of Junior Clerk in Lok Sabha Secretariat - Advertisement No. 5/2011. Marks obtained by candidates in Personal Interview for the First stage screening of candidates for empanelment as Casual Labour in Lok Sabha Secretariat held from 25.10.2012 to 08.11.2012 notified vide Advt. No. 3/2012-Marks obtained by candidates form Roll Nos. 12001 to 14000. Marks obtained by candidates in Personal Interview for the First stage screening of candidates for empanelment as Casual Labour in Lok Sabha Secretariat held from 25.10.2012 to 08.11.2012 notified vide Advt. No. 3/2012-Marks obtained by candidates form Roll Nos. 14001 to 16000. Marks obtained by candidates in Personal Interview for the First stage screening of candidates for empanelment as Casual Labour in Lok Sabha Secretariat held from 25.10.2012 to 08.11.2012 notified vide Advt. No. 3/2012-Marks obtained by candidates form Roll Nos. 16001 to 18000. Marks obtained by candidates in Personal Interview for the First stage screening of candidates for empanelment as Casual Labour in Lok Sabha Secretariat held from 25.10.2012 to 08.11.2012 notified vide Advt. No. 3/2012-Marks obtained by candidates form Roll Nos. 18001 to 20000. Marks obtained by candidates in Personal Interview for the First stage screening of candidates for empanelment as Casual Labour in Lok Sabha Secretariat held from 25.10.2012 to 08.11.2012 notified vide Advt. No. 3/2012-Marks obtained by candidates form Roll Nos. 20001 to 22000. Marks obtained by candidates in Personal Interview for the First stage screening of candidates for empanelment as Casual Labour in Lok Sabha Secretariat held from 25.10.2012 to 08.11.2012 notified vide Advt. No. 3/2012-Marks obtained by candidates form Roll Nos. 22001 to 24000. Marks obtained by candidates in Personal Interview for the First stage screening of candidates for empanelment as Casual Labour in Lok Sabha Secretariat held from 25.10.2012 to 08.11.2012 notified vide Advt. No. 3/2012-Marks obtained by candidates form Roll Nos. 24001 to 26000. Marks obtained by candidates in Personal Interview for the First stage screening of candidates for empanelment as Casual Labour in Lok Sabha Secretariat held from 25.10.2012 to 08.11.2012 notified vide Advt. No. 3/2012-Marks obtained by candidates form Roll Nos. 26001 to 28000. Marks obtained by candidates in Personal Interview for the First stage screening of candidates for empanelment as Casual Labour in Lok Sabha Secretariat held from 25.10.2012 to 08.11.2012 notified vide Advt. No. 3/2012-Marks obtained by candidates form Roll Nos. 28001 to 30000. Marks obtained by candidates in Personal Interview for the First stage screening of candidates for empanelment as Casual Labour in Lok Sabha Secretariat held from 25.10.2012 to 08.11.2012 notified vide Advt. No. 3/2012-Marks obtained by candidates form Roll Nos. 30001 to 32000. Marks obtained by candidates in Personal Interview for the First stage screening of candidates for empanelment as Casual Labour in Lok Sabha Secretariat held from 25.10.2012 to 08.11.2012 notified vide Advt. No. 3/2012-Marks obtained by candidates form Roll Nos. 32001 to 34000. Marks obtained by candidates in Personal Interview for the First stage screening of candidates for empanelment as Casual Labour in Lok Sabha Secretariat held from 25.10.2012 to 08.11.2012 notified vide Advt. No. 3/2012-Marks obtained by candidates form Roll Nos. 34001 to 36000. Marks obtained by candidates in Personal Interview for the First stage screening of candidates for empanelment as Casual Labour in Lok Sabha Secretariat held from 25.10.2012 to 08.11.2012 notified vide Advt. No. 3/2012-Marks obtained by candidates form Roll Nos. 36001 to 38000. Marks obtained by candidates in Personal Interview for the First stage screening of candidates for empanelment as Casual Labour in Lok Sabha Secretariat held from 25.10.2012 to 08.11.2012 notified vide Advt. No. 3/2012 Marks obtained by candidates from Roll Nos. 38001 onwards. Result of Personal Interview for filling up vacancies in Lok Sabha Secretariat on Deputation Basis (Advt. No. 2/2012) HELD ON 9.8.2012. Result of Written Examination for filling up vacancies for the post of Hindi Assistant in Lok Sabha Secretariat by transfer on deputation/absorption basis. Corrigenda to the result of Preliminary Examination held on 29.01.2012 for recruitment to the post of Parliamentary Reporter Gd.-II in Lok Sabha Secretariat. Result of Preliminary Examination for recruitment to the post of Stenographer (English/Hindi) in Lok Sabha and Rajya Sabha Secretariats held on 24.04.2011. 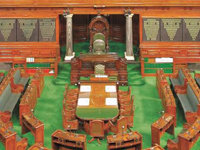 Result of Departmental Simultaneous Interpretation test for the incumbents to the post of Parliamentary Interpreter Grade-II in Lok Sabha Secretariat. RESULT OF PRELIMINARY EXAMINATION FOR RECRUITMENT TO THE POST OF RESEARCH ASSISTANT IN RAJYA SABHA SECRETARIAT HELD ON 16.01.2011. Final Result of examination for recruitment to the post of Junior Clerk in Lok Sabha and Rajya Sabha Secretariats in response to Advertisement No. 4/2009. MARKS OBTAINED BY CANDIDATES IN PRELIMINARY EXAMINATION FOR THE POST OF JUNIOR PARLIAMENTARY REPORTER (ENGLISH/HINDI) IN RAJYA SABHA SECRETARIAT HELD ON 21.11.2010. RESULT OF MAIN EXAMINATION FOR RECRUITMENT TO THE POSTS OF SECURITY ASSISTANT GRADE-II IN LOK SABHA AND RAJYA SABHA SECRETARIATS AND SECURITY ASSISTANT GRADE-II (TECHNICAL) IN LOK SABHA SECRETARIAT IN RESPONSE TO ADVT. NO. 4/2009. Final result of examination for recruitment to the post of Resarch Assistant in Rajya Sabha Secretariat held on 04.06.2011. MARKS OBTAINED BY CANDIDATES IN MAIN EXAMINATION FOR RECRUITMENT TO THE POSTS OF SECURITY ASSISTANT GRADE-II IN LOK SABHA AND RAJYA SABHA SECRETARIATS AND SECURITY ASSISTANT GRADE-II (TECHNICAL) IN LOK SABHA SECRETARIAT HELD ON 25.12.2010 IN RESPONSE TO ADVT. NO. 4/2009. ADDENDUM TO THE RESULT OF PRELIMINARY EXAMINATION HELD ON 1.8.2010 FOR RECRUITMENT TO THE POST OF JUNIOR CLERK IN LSS & RSS. Result of Preliminary Examination for recruitment to the post of Junior Parliamentary Reporter (English/Hindi) in Rajya Sabha Secretariat held on 21.11.2010. Result of Preliminary Examination for recruitment to the post of Junior Library Assistant in Lok Sabha Secretariat held on 16.01.2011.